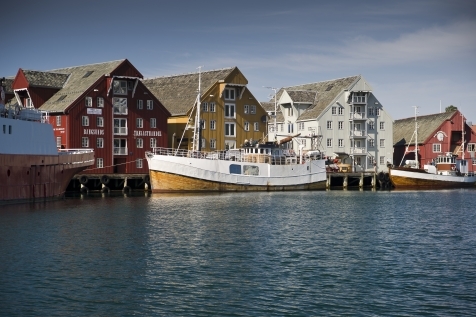 Fly to Tromsø (via Oslo) and transfer via airport shuttle bus to your chosen accommodation. Depending on your flight arrival time, you could take the cable car to Storsteinen on Mount Floya for an Arctic inspired feast at the Fjellstau Café, and excellent spot for a dramatic view, whatever the season. 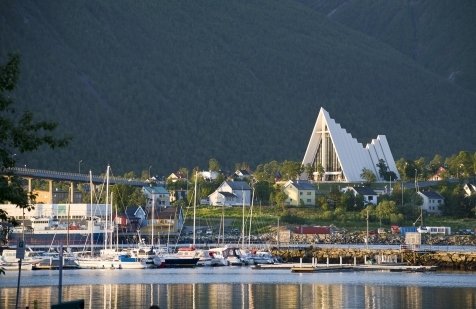 Alternatively, see if there is a midnight sun concert at the Arctic Cathedral. These days are free for your chosen excursions (see excursion tab for a full listing). Take to the sea by RIB boat or Kayak. Visit Tromsø’s husky’s, even take them for a walk. Take a coastal, history and scenery tour or try your luck at fishing and there are guided mountain walks to suit all abilities. For those who want a change from the outdoor pursuits you can simply enjoy the museums, bars and restaurants this vibrant city has to offer. We can also arrange car hire for you, should you wish to have a little more independence to explore the region. Many of the excursions are family friendly, and you will find that there is so much to see and do that despite the permanent daylight, you may find there are still not enough hours in the day! Enjoy a leisurely breakfast before taking the airport shuttle transfer back to the airport in time for your return flight home. The futuristic maritime-inspired design and wharf-end location offer spectacular views out over the Sound, the Arctic Cathedral and Tromsø Bridge. Modernist Nordic styling pervades throughout the hotel. This stylish design hotel is set on the quayside in a convenient, central location and prides itself on its eco-friendly credentials. It boasts spacious, modern rooms, many of which offer spectacular views over the water. Celebrity chef, Marcus Samuelsson combines New York flavours with local ingredients in its Kitchen & Table restaurant, which is popular with locals and tourists alike. 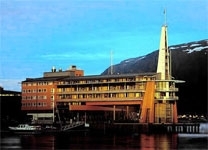 The ideal hotel for those on a budget is situated in the centre of Tromsø and within easy walking distance of the airport ‘Flybus’ stop. Simple yet smart rooms all have private WC/shower and TV. A full Scandinavian breakfast is served in the adjoining Egon restaurant which also serves lunch and dinner. 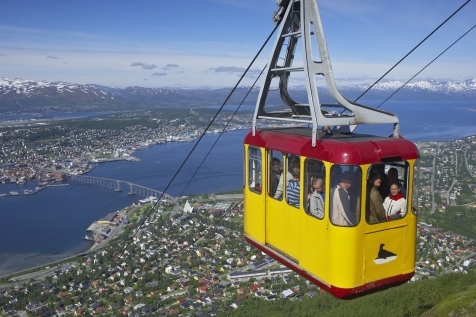 An experienced guide will accompany you, with some top-trained dogs into the mountains that surround Tromsø. Back at the centre you will be served lunch and coffee made Norwegian style on the fire together with a delicious chocolate cake for dessert in the Sami Lavvo. Included: Guiding, transfers and lunch. Of the 300 Alaskan huskies at the husky farm, the puppies are the most important. Join experienced handlers and train the youngest sled dogs, who are from 4 weeks to 6 months old. 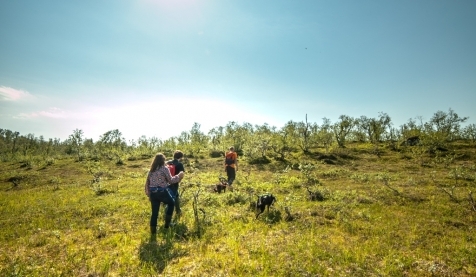 Take the puppies out for a 1 to 1½ hour hike close to the husky farm and do different exercises in the wilderness, depending on the age of the puppies. This is a medium level hike, but you will be rewarded for your efforts. You will stop during the walk to investigate interesting and unique Sami sites, enjoy the scenery, take photos and learn more about Arctic environment. You will have a superb view of some of the highest peaks in Northern Norway, the Lyngen Alps, bathing in the golden glow from the Midnight Sun. Included: Guiding, transfers, drinks and light snack. 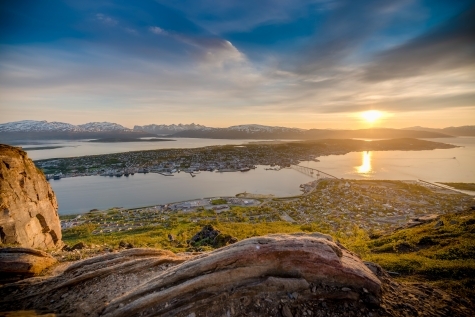 Experience the fun and freedom of electric bicycles that enable you to ride with ease.Visit many of Tromsø’s must-see highlights and hear about the vibrant city’s secrets. Explore places off the beaten track led by a passionate guide on this fun and relaxing activity in a small group.